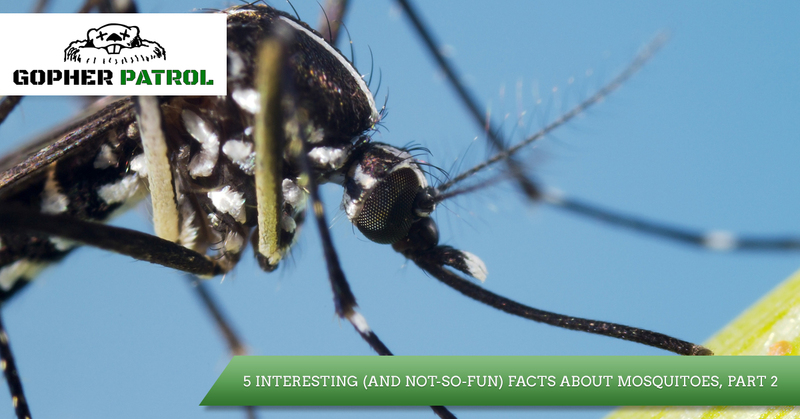 Today, let’s delve back into the wild world of mosquitoes as we look at a few more fun facts about these pests. Have mosquitoes taken over your home, business, or commercial property? Give Gopher Patrol a call for mosquito control in Riverside and we’ll safely eliminate your mosquito problem using EPA-registered products. Have you ever wondered how fast mosquitoes can fly? Normally, when you see mosquitoes they don’t seem to be moving extremely fast. It’s more like they just hover near your ear or sit on a wall while they wait for their next victim. Mosquitoes, though, typically fly about one to 1.5 miles an hour. Most people will be happy to learn that mosquitoes have a short lifespan. 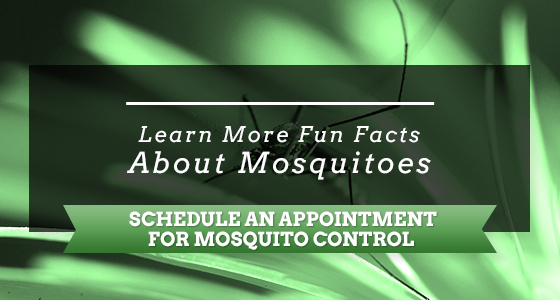 While mosquito lifespans vary by species, adult females generally live two-to-three weeks. Others live longer if they are able to hunker down in a shed, garage, or attack during the colder months, which can extend their lives for as long as six months. 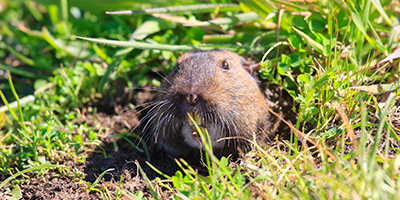 Mosquito prevention services with Gopher Patrol can cut their lives short before they have a chance to make your property their winter home. While we’re on the subject of them taking over your garage for the winter, mosquitoes do indeed hibernate. Mosquitoes are cold-blooded so they thrive in temperatures over 80 degrees, but when temperatures dip below 50, they must seek shelter to survive. That’s why sheds, garages, attics, and even basements appeal to mosquitoes, especially adult females who want to lay their eggs. It’s important to seal up any holes, cracks, or entryways where mosquitoes might be able to sneak in for the colder season. 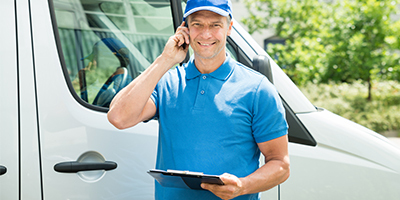 If you need help with seasonal mosquito control, we’re just a call or click away! Lemongrass, where the natural oil citronella for mosquito repelling candles and oils comes from, can also help repel mosquitoes from your yard. If you’re wondering which repellent is right for you, use the EPA’s search tool. As a side note, a report by National Geographic tells us that mosquitoes actually prefer to feed on the blood of cattle, horses, and even birds over humans. So while it may seem they have a malicious intent, they are just a part of the circle of life. If you want to remove existing mosquito swarms from your home and prevent mosquitoes from invading your property, or worse, the inside of your home, then call Gopher Patrol to get an appointment for mosquito control and mosquito prevention. Don’t forget to ask about our new client specials! Tune in next time as we continue looking at even more interesting facts about mosquitoes. Until then, thank you for reading!